Discussion in 'Progress/Execution Threads' started by Bekit, Oct 24, 2018. Three days ago, I introduced myself on this forum for the first time. I received a really amazing welcome and that created a rush of momentum. This led to two days of continuous "mind-blown" moments as I read various posts on the forum (and I'm conscious that I've only read a fraction of what's there). And I figured it would be helpful to others and motivational to myself to post the "before" picture in all its sordid misery so that it paints as vivid a contrast as possible to the future day that's coming when the slowlane is behind me and the fastlane is where I'm hanging out with the other fine folks on this forum. Hopefully, chronicling the steps I take along the way will help someone else after me to have hope and to avoid any pitfalls I encounter. And I welcome, invite, and desire the kind of pushback that I've seen the forum members give to one another. Please don't tread lightly if I'm thinking wrongly or making a bad decision. 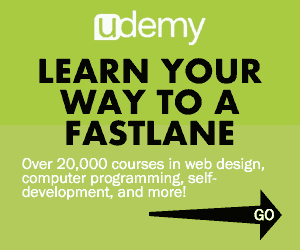 I have a lot of years of un-learning to do before I will have internalized a fastlane mindset. I'm conscious that I'm taking baby steps right now, and that I have a long way to go. And I'm hungry to learn, be corrected, and take action. Focus on helping other people and providing value. Make that my strategy for getting clients. Be a producer, not a consumer. Be an action taker, not an action faker. The people on this forum are incredible, generous individuals (special thanks to those of you who went out of your way to welcome me as a newcomer by posting something to my intro post thread: @MTEE1985, @MJ DeMarco, @Andy Black, @Kak, @amp0193, and @lowtek). I am about as solidly entrenched in the slowlane as a person can possibly be. This is a combination of having a slowlane mindset all my life, lacking awareness of how to navigate in business, growing up being actively discouraged from working outside the home, and not having much of a desire to do so. By the age of 30, the most I had made in a year was about $17,000. I have worked for myself as a piano teacher and a house cleaner. I have worked for other people in publishing, education, banking, sales, and marketing jobs. I have a degree in communications, which I fortunately obtained debt-free. But I was always trading time for money, and my wages were low enough that I never succeeded in saving. In my 30s, work became a desperate fight for survival. While I am keeping up the appearances of conducting a "normal," "put-together" life, it feels like I am teetering on the brink of being homeless and starving if even one thing goes wrong. I cannot afford to get sick. I cannot afford to wreck my car. I cannot afford to lose my job. To seal the handcuffs firmly in place, I made a decision that was the epitome of slowlane thinking. 6 months ago, I bought a house. One of those 0% down deals where I'll pay MORE than the total purchase price of the house in interest by the time the 30-year loan is over. Granted, it was one of the cheapest homes on the market in my area... and the mortgage payment is comparable to renting almost anything but the worst properties. But still, I'm sure the forum will recognize that it was slowlane thinking at its finest. And then, to make matters worse, I started finding that in order to pay my bills, I needed to use my paycheck for the non-negotiable stuff (mortgage, electric, water) and the credit card for everyday expenses (like food and gas). I was oblivious to the fact that I was spending about $1000 more than I made every month, so the credit card balance racked up quick. Three weeks ago, I created a spreadsheet, plugged in all the numbers, and discovered the cold hard facts about what I had done. And I was terrified. I was ashamed of what I had done. Despite my low income, I had never been in ANY debt until 10 months ago, when my credit card balance first crept up above what I could pay back in the same month. But here I was, thanks to my own actions and my own choices, and I had no one but myself to thank for it. Right after that, my boss cut everyone's pay by 5%. So now it's time to turn this ship around. Starting with getting my house in order. Short term, this will require some sacrifices. I have two fundamental choices: reduce my expenses or increase my income. After reducing everything down to the very barest minimum, we're still not at the break-even point, meaning we'd have to sell the house to accomplish reducing the expenses to where we're spending less than we make. If we have to do that, we will, even if it means that we rent a bedroom for 2 years to correct this. But I'm optimistic that I can do this the other way: increase my income. My first thought was the slowlane way: look at part time jobs. Maybe I can just work retail from now until the New Year? I ran the numbers, and it looks like if I landed a minimum-wage job for 20 hours a week, it would take me 10 years just to pay back my credit cards. So much for working over the Christmas holidays. Even if my part time job was $25/hour, it would still take 11 months to get rid of the credit card debt. OK, so that option stinks. This is the part of the story where little Rebekah looks around at the bars of her cage, looks up at the sky, and like a Peanuts character with a cavernous open mouth, lets out a long "WAAAAAAAAAAAAA!!! ", rattles the bars, tugs on the handcuffs, and kicks the ball and chain. This is not how it has to be! I have a brain, and I have choices, and I am NOT going to sit on the floor of my cage and slave away the rest of my existence. But what's this? A key appears. A glittering gold key in the shape of an F, just outside the bars, but still within reach. It unlocks the Fastlane Forum, a dizzying world of SOMETHING ELSE ENTIRELY. Bewildered, little Rebekah steps hesitatingly through the doors and takes a cautious look around. Almost immediately, her head explodes, ripping away the rigid confines of her former way of thinking and and inserting in its place a brand-new paradigm. Wonder and curiosity and puzzlement pile up in her soul as she beholds this dazzling new land. And hope begins to dawn that this is possible and this is how she should take action. I have one of the skills that people on the forum recommend: copywriting. I can make far more at this than I can make at any part-time retail job on the planet. People *say* that if you're a copywriter, you can essentially write your own paycheck. But I've never gotten a client. I've only ever been hired as an employee. I don't know how to get a client, and up until now it has looked like a big, scary, daunting thing to do. But it's time to take whatever action I need to take to get my first one. Sounds like I should start by looking for someone I can help. And I can think of 3-4 people right now. I have a home office and a work-from-home job, where I can easily incorporate a client into my current workflow. I have a laptop and internet access and a quiet, uninterrupted work environment, which is something that I NEVER want to take for granted. I have great health and a sharp mind. I have a husband who does all of the chores and the meals and the laundry and the little tasks around the house because he's on disability and I'm the breadwinner... so I barely have to lift a finger to take care of myself that way. He's on it. I'm not very business savvy... yet. EVERYTHING about this is new to me. How do I set my rates? How does someone pay me? Do I need a contract? Where do I get one? How do I do my accounting? How do I do the legal stuff? Hypotethicals could possibly leave me going around in circles for YEARS trying to make everything perfect. I don't have years. I need to nail this, fast. Limited time and energy. I'm working 60 hours a week and I'm somewhat stumped about which of my non-existent hours from the leftovers of my time I'm going to use for pursuing clients. But I'm just going to try to stuff it in anyway... where there's a will, there's a way, right? Or is there a better way to approach this? My husband is more entrenched in the slowlane mindset than I am, to the point where he is attempting to talk me out of going after a client because "you can't; you'll crater." So I'm in the middle of this picture with someone I love who is feeling threatened by this disruption to our erstwhile mutual slowlane thinking, and I have to navigate that piece of it in addition to the other practical elements of it. My age. I don't just want to break even, I want a nice retirement. Oh to be starting this journey at 18 instead of 18x2. Contact the 3 or 4 people I mentioned who I know I could help. Approach them with a pitch that's very thoughtfully-constructed and customized to them. Get their business if possible. Should I look for a better-paying job in the meantime? What are some strategies to impart fastlane thinking to my husband? If I barely have time, and I'm going a bit more in the negative every month, is it even an option to offer FREE help to my 3 or 4 friends that I'm starting with? Or should I just confidently charge them a fee (maybe at a discount)? If I start freelancing to get income flowing, how do I transition from there to an equation that's scalable? What do I need to start thinking about NOW to get myself into position for a fastlane-scale business? Given all this, I don't think it's an overstatement to conclude that I'm going to need a tremendous amount of drive, determination, and action taking in order to achieve the escape velocity that it will take to reach the fastlane. Guess I need to buckle my seat belt, because I'm going for the ride. Want to watch this slow-laner transition to the fastlane? Come along. How fast do you think I can do it? RandD, Null, Lee H and 36 others like this. You are very brave for having the courage to say.. "enough is enough"... and for starting this progress thread to document and share your journey to greatness. And it looks like you've done some serious soul-searching already and have identified concrete action steps to take going forward! This is just a quick "hang in there" bump while we wait for the more experienced comrades here to chime in. Lex DeVille, Determined2012, Suzanne Bazemore and 4 others like this. Thank you so much @George Appiah ... hey, thanks for rooting for me at the very beginning of this "journey to greatness!" On with the grand adventure! MTEE1985, Andy Black and Xeon like this. I don't know how to get a client, and up until now it has looked like a big, scary, daunting thing to do. But it's time to take whatever action I need to take to get my first one. Sounds like I should start by looking for someone I can help. And I can think of 3-4 people right now. There is this guy here, his user name is "lex_deville". I remember he runs some sort of copywriting business, and in one of the post some time back, he was offering some kind of part-time paid gigs for copywriters to work for him and they also get mentorship. My memory is hazy on this, but check him out if you haven't already. This may be an unpopular opinion here, but I find reading just Unscripted is more than enough. It has everything the other book talks about, and more. Just the concepts worded differently. In my opinion, yes. A better paying job with the same or lesser hours. It won't be easy, but make it a long-term mission. With lesser hours, you've more time to work on your copywriting business. There were some threads here where others ask similar questions, like how to change their 68-year old dad's mindset to the "Fastlane thinking". Don't waste your time, just execute and show them the results. If I were you, I would charge them a discounted fee instead of helping them for free. One thing with providing free work from personal experience, is that "Man only respects what he/she pays for". Be careful about burning out. For those of us with no experience in business, it will definitely take longer than those who have. I feel sometimes folks tend to have unrealistic expectations and then get disappointed and give up fast. We're all in this for the long run, not burn out fast. Also, being a copywriter doesn't necessarily mean starting a copywriting business though. You could use it as your main tool in a bigger scheme of things. Shashwat, Determined2012, TheCj and 5 others like this. ...You could use it as your main tool in a bigger scheme of things. Wow @Xeon - THANK YOU for your detailed, thoughtful reply. Really appreciate you taking the time to contribute. GREAT points, and I will follow your advice, especially the ones I've listed above... but everything you said was super helpful! Oh also, in my introduction post, someone pointed me to one of the super amazing threads by Lex DeVille, and I've been really blown away by the valuable stuff he's shared. I'm thinking of adding the actions from his 15-day work challenge to my "concrete tasks to do next" list. Regarding the job, I hear you on the appeal of a better paying job with the same or lesser hours. The main thing that keeps me here is that this IS a copywriting job, so I'm honing my craft all day, every day. Which is nice. Part of the way that copywriters all agree that you get better as a copywriter is to be required to write lots and lots of copy, fast. Can't go wrong with "sharpening the saw" in the day job.... but it makes it a challenge to weighing that benefit against the thinness of my margins. And yes, the idea would be to wield copywriting as a sales tool in the bigger scheme of things down the road. Andy Black and Xeon like this. It has been incredibly entertaining to read your post. Not because of the context, but because of the writing style. Go for it, you might be able to write your way out of the slow lane. Baby step by baby step is good. Even the biggest houses are built brick by brick. Take care of your health and fitness, 36 is young enough. I used to feel that I was too old for some of the stuff, and at 31, now I feel like I'm just getting started. Consistency is the key. Soon the starting point will blur out of your mind, and the only thing you will be able to see is the next step. Get obsessed in a good way! Most of us obsess about the negative aspects of our life, just turn it around and obsess about the outcome you truly want, live on it inside of your mind. It surely it's going to be a tough a$$ road, but nowhere as hard as staying out in the cold wet slowlane. I always remember a conversation I had with one of my childhood friends: He has great welding skills, and he could make a great living in a different country. He said "it's tough to move to a different country". Yeah, it certainly is, I know that very well. But not even close to how hard it is living a life of apathy and mediocrity, just getting by surviving. Soon you'll acknowledge that there is really no other way, and that you cannot look back. Once you've seen the other side, there is no turning back. Just keep going: You'll make it or you'll die. You'll die no matter what. Shashwat, Determined2012, SMH and 4 others like this. I’m glad you found this place and MJ’s books. So you need to get to 1x your essential expenses. Have you figured out your shortfall? If it’s the $1k/mth, then that’s $250/wk or so. Obviously batten down the hatches but you’re right to want to also increase your income. Tell us more about the copywriting you do in your day job. What type of copy? Is it for the company you work for, or is it for their clients? Can you link to your post where you gave someone the suggestions of contacting dog-walkers and vets as a way of contacting dog owners. That was good advice. It shows a marketing brain. What type of marketing have you done, and who for? Can you take your own medicine and think about: “Who already has your clients?” (Jay Abraham). Web designers/developers and digital marketing folks/agencies may well have a need for a copywriter. Much as I love the @Kak and his think bigger mindset, I do think freelancing is the quickest way to get started creating additional revenue streams. Sell your time and services. Get to 1x and stop digging the hole. Then figure out how to start adding monthly recurring revenue (MRR). Also... put your health first. You can only work a limited time flat out. Your husband is right to look out for you. No-one wants you to “crater”. If you’ve limited hours then use that constraint as a positive force to work smarter. You’re already getting paid to write copy. That’s a great place to start. I suggest getting paying clients now. Good luck! We’re rooting for you. NMdad, Lex DeVille, Smuggo and 11 others like this. That was lovely to read and you are a fantastic writer. You will get there I have no doubt you will get there. Lex DeVille, Xeon, Suzanne Bazemore and 3 others like this. It has been incredibly entertaining to read your post. Not because of the context, but because of the writing style. YES! I agree. Great point. nowhere as hard as staying out in the cold wet slowlane. SO true! Also, your comment, "You'll die anyway" made me chuckle. I have given serious thought to moving to a lower cost of living area, like the rural US, or even another country, but I feel like I need to get some proof-of-concept under my belt that I can consistently obtain and fulfill work from home jobs. I currently live in an area with a thriving job market where if worst comes to worst, I can get hired again while I build up my own business. I write marketing copy, email sequences, sales pages, stuff like that. It's for the company that I work for, though I've also done agency-type work where I write for clients. I've also worked on the content team in a marketing agency... lots of learning experience there, too... a lot of productivity lessons, learning how to crank out sheer volume. I know from experience that there is no such thing as writer's block! Even if you are writing for something obscure and over your head like ultrasonic nondestructive testing equipment LOL... I learned that the key is not only to know my client, it's to know my client's client. Deeply. Thoroughly. Profoundly. *hyperventilating* OH my goodness, that is so true! I hadn't thought about it this way... talk about thinking BIG... "Jay Abraham has my clients. Brian Kurtz has my clients. Ben Settle has my clients." Uhhhh maybe I'm not at that level just yet, but you sure gave me something big to chew on! Yeah I've done a fair amount of work for digital marketing folks... I can write content for any topic under the sun, but the thing about that is that it doesn't really move the needle much for the customer unless you have the resources (and commitment) to writing world-class content every time. And I was not doing that. Also... put your health first. You can only work a limited time flat out. Thank you to both Andy Black and J.Sark for reminding me to take care of my health. Burning out is not a good route to take. So true. That'll be good for me to do anyway. Thank you for your vote of confidence! Appreciate you rooting for me! Lex DeVille, Determined2012, Xeon and 5 others like this. Contacted a friend of mine who is in the local area and just starting a business. Offered to write him a 1-page sales letter about his services at no charge. He said he is going to take me up on it. Responded to an email from a local marketing guy asking if I can write a video script for a local customer. Said yes, provided a writing sample and haven't heard back. How I'm feeling: Last week I was feeling a mixture of zeal and terror which was producing insane amounts of urgency and drive. This has given way to a more stable, even-keel emotional state (which is more like my usual self). I have nodded, squared my shoulders, and told myself, "This is going to be ok. You're going to make it. Now get moving." Lex DeVille, Determined2012, RazorCut and 3 others like this. I have yet to make a single freelance dollar since I started this thread, but my husband took on a part-time job, so that's helping to correct our financial situation and bring some mental relief, which opens up space for me to continue to move forward without freaking out. I wrote a sales letter at no charge for my friend who just moved here and started a landscaping company, and I got a really nice testimonial out of that. I have two pending inquiries from a local marketing guy. One is for a video script and one is for a website rewrite. Both will probably happen, but the wheels are turning slowly for getting started. I also have an invitation to appear for 15 minutes on a copywriting podcast, which will be great exposure and a massive opportunity. The podcast host is also willing to give me a testimonial. The recording date is in December. I worked all day Saturday until 4 in the morning to get my website up and looking good. Sunday I got overtired and ended up being a basket case, crying over nothing. Lack of sleep is not good for me. I worked 20 hours (from 6 am to 2 am) in my day job yesterday, so I'm on the verge of repeating the overtired cycle. Lack of time continues to be a serious challenge for me. I have cut out all social media. I don't have Netflix. I don't have a television. I don't have leisure time. The closest thing I get to having a "hobby" is cooking my meals, but I eat in front of my laptop because there's so much work to do. For two weeks, I haven't even managed to carve out the time to exercise. The only "leisure activity" that I've done this week has been my daily visits to the Fastlane Forum. Talk about a dopamine hit. Watching my Rep $$ balance go up as people like my posts has been almost like a mini experience of what it must feel like to earn passive income. And I think the analogy holds true: Provide value and the money will come. But despite the fact that I'm learning a TON every time I read a new thread, I'm going to have to cut down on the time I'm spending here. Put some strategic thought into the niches I want to target. I have been using a "spray and pray" approach... throw spaghetti at the wall and see what sticks. Who is my ideal clients? I don't even know. I've been approaching this with the mindset that "my ideal client is the one who will pay me money." But somebody on the forum posted a 6-minute video interview with John Paul DeJoria, and he said something that really lodged deep inside of me. It was something like, "Long term entrepreneurial success is liking what you do, who you do it with, and who you do it for." And a picture popped into in my mind of me writing copy for somebody whose product I secretly loathed, and how much I would hate that, and I realized, I've got to define this and do the things that will attract the people I want to work with and the jobs I want to do. Implement Andy's method for when your back is against the wall. I recently realized that a few of the people I went to college with are in the digital marketing space, and I bet if I sent each of them a quick note, something would come of it. Lex DeVille, Determined2012, RazorCut and 6 others like this. To this, I always tell myself "This whole thing is a marathon, not a sprint". The only "leisure activity" that I've done this week has been my daily visits to the Fastlane Forum. That image had a profound impact on me, and you should always bear this in mind too. Good luck! John F., RazorCut, ZF Lee and 1 other person like this. WHOA. This is amazing. That is one powerful image all right. Thank you for the encouragement. Yes. This is a marathon, not a sprint. Xeon and ZF Lee like this. I’ve just remembered you asked about time in another thread. I’ll respond to that. I didn’t have the time to do so earlier (which really means I was doing other stuff that I deemed more important right?). "You can't break tackles at marathon pace"
Lex DeVille, Bekit and Xeon like this. I appear to be a little late to this party, but I'm going to jump in anyway. I would worry 0% about this. Setting rates will come with experience. There are people I over-quote, and people I under-quote, it's a continual learning experience. If I find people are consistently saying I'm too high, then either I'm not communicating my value well, or I'm really just charging too much. People can pay in any way you currently collect money: cash, check, paypal, venmo, zelle, etc. I wouldn't worry about contracts and legal stuff right now. Go out and find a client, help them with copy, and worry about formalities when the level of income warrants it. When @Andy Black says this, I think of it in a complementary sense. I know the Big 4 accounting firms have my clients, but that's not who I'm looking at. I work mainly in Ecommerce, so I'm thinking: who is building websites for Ecom? Who is running ad campaigns? Amazon content? Shopify developers? I'm looking at complementary services, not competitors. That's just always been my interpretation. Joe Cassandra, Lex DeVille, Determined2012 and 4 others like this. I have been making money from Copywriting over the past two years while in college. There is a steep learning curve and it took me over 6 months of learning and application just to get to a place where I could take care of myself completely through writing copy. Even now there are dry months where things go wrong and cash flow is tight. If I was in your position I would focus on reducing fixed expenses or boosting your income through passive methods that don't require you to work 'X' number of hours. Having spent a whole year writing copy while paying over 600 euro in rent each month (for only a room) before all of my other bills I know what it's like to make cash and then immediately have it go out on expenses. So what did I do about this? I moved into one of the most expensive city center locations near where I go to college. And..... I rented out all the other rooms in the house and now live for free while also saving on transport costs as an added bonus. When you can save on your big fixed expenses by playing it smart. You should consider renting a spare room on AirBnB if you have any available while putting 100% of this income into paying off credit card bills. Determined2012, TheCj, Bekit and 1 other person like this. How’re things going @Bekit ? MTEE1985 and Bekit like this. Wow, @Andy Black - thank you for bumping my thread. When you did, I discovered the amazing replies from @CareCPA and @JordanK , which I had somehow missed until then. Thank you two for sharing your valuable input. I've been wanting to reply ever since, but am just now carving out time to do it. I still have yet to make a single freelance dollar, but I am patiently taking action. I am still employed, which I am extremely grateful for. I sensed that cuts were coming... and they did. They just fired my team member on Monday. It was a blow to lose a coworker, but a relief to know that my income is still coming in. I would have been in extremely precarious trouble if I had lost this job before I had a functioning backup source of income in place. I have been working 14-hour days to keep up with the workload with my employer. Now that my team member is gone, I'm guessing the workload will increase. Hopefully they won't expect me to do the work of two people. They said they don't expect that. Regardless of the workload, as long as I can keep doing quality work, the fact that I'm the only copywriter left on the team provides me some job security. And that brings a huge dose of mental relief. I'm not quite as much "under the gun" as I was, which frees me up to think more clearly, do better work, and feel less stressed while I do it. The video script that the local graphic design company asked me to write is going forward. What I've done so far is drive to the client's place of business, conduct an interview, transcribe the interview, and submit a rough outline for approval before I move forward with a draft. Haven't gotten paid yet. Haven't even negotiated the rate that I'm charging other than to indicate that I'd be affordable and willing to agree to something that fits within their budget. More on that in a moment. Back in November, I sat next to a lady on a plane who became very interested in engaging my services. She took down my info, but I never heard back from her. However, this week, they contacted me! Happy dance. That one seems likely to come to fruition, but it's not nailed down yet. A well-known copywriter who studied under Gary Halbert offered to "shake the bushes" for me, and he contacted me last night to say that two potential clients may be able to hire me at the beginning of the year. Wow. This guy doesn't even know me, owes me nothing, and became interested in helping me after I interviewed to enroll in one of his programs but couldn't afford it. Just the fact that he followed up with this was the most generous act EVER. Completely blew me away. Super touched and humbled that he would take action on my behalf in this way. Whether or not anything ever comes of it, my respect and gratitude is through the roof for this guy. Two separate people I know offered to coach me through some of the foundational aspects of setting up my business, which is another thing I am extremely grateful for and amazed about. I believe that will move forward with both. It's just a matter of setting up the appointments. I created a profile on Upwork and applied for two gigs so far. One replied to me but then didn't follow up after that. Also, one person contacted me about a gig I hadn't solicited. I sense potential here, but simply haven't had the time to invest in even scrolling through the available jobs, much less reaching out to apply. I am in email communication with a potential client that I met and spoke with at a live event. I did a copy review of her sales page and provided feedback on what I would change. She is interested in having me work with her on copy, but she's not quite ready to get started. But at least that's something in the pipeline. I was thinking about what I would charge, and I didn't know what to tell them. So I thought when I gave them a quote, I would say something like, "Here's my rate: You pick. The price that you pay me is up to you. Whatever this is worth to you, and whatever you can afford within the budget for this project, I'm good with that." And a little voice in my head said, "Even if it's zero?" And without hesitation, the other little voice in my head responded, "Yes, even if it's zero. Anything above zero is a bonus." Instantly, I was transported back to a memory of the days when I was a teenager and I had babysitting jobs from time to time. And that's how I set my rates back then, too. Parents would come to pick me up and take me home after their date night, and they would ask what I charged, and I would say, "Whatever you want." They would be taken aback. Sometimes they would argue with me. But I would always stand my ground and tell them, "Seriously. You can pay me nothing at all, or you can pay me something, and whatever you pay me, I'll be happy with it." So they would pay me something, and because my baseline expectation was zero, it always felt like a huge bonus that they paid me, even if it was only like $3.00. I didn't have any expenses. I didn't mind babysitting. I didn't care about money that much. (I was also trained to not care about money that much. But I completely accepted that mindset. And it worked at the time.) I was living with my parents. I saved most of my money, but occasionally used it to buy yarn and craft stuff once in a while. I had everything I needed in terms of food, clothing and shelter. So it wasn't problematic at the time. That memory came back to my mind, and I suddenly saw it through a new lens. "You know what that says about you?" I said to myself. "That says that you have defined your baseline value to be zero." Instantly, I realized that that's not true. My value is not zero. This is a mindset issue here. I need to think of myself and my work as something that has value. I've never thought of it that way before. I've thought of money as "this bonus that people are nice enough to give me for my work, even though I would have done the work for free, out of the goodness of my heart." No. That's not a model that can work. I need to correct this mindset. Because otherwise, I'll be willing to let people negotiate my rates all the way down to FREE. And in business, I have the suspicion that not everyone will be so kind as to insist that they pay me something. It's my job to assert my value. And in order to assert my value, I need to believe that I have value in the first place. That's a good starting point. After all, I need to earn a living here. And maybe if I get my thinking straightened out, my income will get straightened out, too. Any advice on how to think more accurately about this? Has anyone else run into this before? My best strategy at the moment is to simply (a) contradict that incorrect statement in my head and repeat over and over, "No, I DO have value," and (b) come up with the wording that I could use to communicate my rates, and then vividly visualize myself charging for my services with confidence and not backing down. But still, I have this part of me that laughs at the "preposterous" idea that my work is actually worth money, and I'd like to silence that once and for all. Follow up with all the people in the pipeline in order to bring one of them all the way to the point where I can take their money. Be ruthless in my time management. There is no wiggle room. There is no space for procrastination. There is no opportunity to slack off. Desperate times call for desperate measures. Become better at setting boundaries. I think if I was better at setting boundaries, I'd be better at limiting my work to "work hours only," which would free me up to do more of my own stuff. This goes back to the mindset correction I'm attempting to make. If I value my work as worth zero, that means I value my time as worth zero, which means that I will just give it away to anyone who asks, and if my employer wants to take 14 hours a day, I have no resistance about giving that to them. *shakes head* Really need to get my thinking straight, and I believe that my actions will follow. Given the mindset challenges I described above, and given the fact that my default is probably going to be to undercharge (at least at first), do you have any advice on how you'd approach this if you were in my shoes? This is a great point, and so true! That way, you're not trying to steal a client from a competitor, you're trying to provide value. I see a lot of potential for synergy that way. I really, really like this idea, and I 100% see the logic in this. However, I don't see a concrete way to achieve this in the short-term. 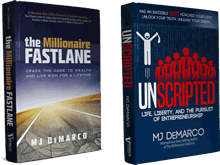 And while I do certainly envision build a passive income engine for the long term, the very scant hours of my time SEEM to need to be devoted to immediate income-generating activities, at least until I can break even. However, I could be missing something here. What's an actionable step towards a passive income stream that somebody in my circumstances could take? I LOVE the fact that you hacked your housing! Brilliant! Unfortunately for my ability to take your advice, I just bought a house in April. It's in a rural area, relatively far from places where other people want to live or where AirBnB travelers would want to stay. And it's only 900 square feet, so it would be a challenge for me and my husband to share the space with a stranger while still keeping up the intense pace and workload that is pretty much non-negotiable if I want to get myself into a better situation. In my first post in this thread, I admit candidly that this was slowlane thinking at its finest. And while I'm super grateful to have place to call "my own," I certainly feel entangled and bogged down in a way that far exceeded my expectations of how difficult I was making it on myself. Thanks for the book recommendation, too! I'm a huge reader... although I'll have to put it behind TMF and Unscripted in my reading list. Lex DeVille, Determined2012, Required and 5 others like this. You can get your husband to read both of MJ's books to help him get over the slowlaner thinking. Determined2012 and Bekit like this. maybe if I get my thinking straightened out, my income will get straightened out, too. I’d say your income won’t get straightened out till your thinking does. I’d say this is why you’re working 14 hour days and stuck. Here’s another: “Attend to your own oxygen mask first.” You can’t help your clients if you go out of business. Finally, our job as a business owner is simple (not necessarily easy): Add value. Get paid. You can add value. Now you must figure out the get paid part. Lex DeVille, Determined2012, MTEE1985 and 2 others like this. I am currently doing copywriting. I started just two months ago. I read through Lex' thread and did all the exercises. I also bought a course on Udemy for $10 and completed it. I have worked a little on Upwork but really have not done any sales copy. I have mostly done blogs and articles for people. last thing I did was rewrite a whole website for a Russian metal company. It was pretty boring but I did it because I knew the guy would be really happy about it. He really showed his appreciation. Aside from this, I am trying to set up a website. I am going to have it be an offering of copy, landing page design and SEO and perhaps social media management. But this is more work learning those skills and getting good. But having the website will allow me to practice SEO on myself. About a month ago I reached out to an online community I visit and two people contacted me. One wanted me to write them a white paper but disappeared. The other has an online natural candle store. I wrote a few product descriptions for them. Then they asked if I had any ideas for a quote or headline because they were going to start a Facebook ad campaign. I dished out about 40 quotes/headlines for them and told them to take a pick. The person also ended up giving me a testimonial. I am still deciding on a niche. But I think I need to improve on client acquisition. I am thinking of just finding random websites on Google and telling them I will rewrite their site or a section of their site. If I could get a few sites done, with perhaps, some testimonials, I can use this as leverage for bigger companies (in the same niche) and charge a nice fee. That is my plan. I also want to learn a bit more about networking and finding clients on LinkedIn and other social media. That is where I am at with this. Lex DeVille, Roz, Andy Black and 1 other person like this. hm, working 14 hours a day is tough. hard to manage time/life balance with that, imagine you barely have any freetime..
Andy Black and Bekit like this. Have you worked a job as a copywriter before? Do you have access to what copywriter "normally" makes? Turn that info into an hourly rate. Traditional freelance wisdom says to double that. So if a copywriter makes $40k a year, that translates to roughly $20/hour, you should charge $40/hour. This is the rough way to do it at the beginning. If people are balking at that amount, you aren't communicating your value well. If 100% of people accept your proposal, you aren't charging enough. This is where you'll be able to refine it over time. I've had potential clients say my prices were way too much. They were right. But it was also the only way for me to test what the market would bear. Lex DeVille, babyballer, MJ DeMarco and 2 others like this. Wow, thanks everyone for the great input and feedback! This is a great idea! I don't know if I can get him to read it himself... but maybe I could read it to him. It's worth a shot. I think you're right. In that respect, I'm grateful to have identified where my thinking was messed up so that I can begin to straighten it out. Funny how a deeply ingrained belief can lie there, totally undetected. It's kind of like when you cut an onion in half and you find that there's this one layer halfway down that's turned black because it's rotten... but the rest of the onion is good. You have to dig out that black part... and finding it is the first step. LOVE this! So simple. I was ONLY doing the first half. Now it's on to the second half. You would be right. And this was affecting me. A lot. I have put everything on hold, just to get my work done. I haven't just dropped "extra" things like social outings or movies. I've dropped basic things like phone calls to my family... exercise... any hobbies or pleasure... I've just been grinding it out. And this was leading to a lot of self pity. I was entertaining thoughts like, "I'll never get a break until I'm 60," or "I'll never get to go on vacation again," and this was taking a toll on me, because at the end of the day, it's detrimental thinking. In order to combat this, I have been cultivating intentional gratitude on a daily basis. I'm on the lookout for what I DO have to be grateful for. And that has been helping. This is super helpful! Thank you for that formula. Yes, I am currently employed as a full-time copywriter, so that's where I can start. OK, got it. I'll start with that and make it my "baseline" (instead of zero) and then raise my rates experimentally until I hit the "ceiling" of what the market will accommodate (being careful to distinguish between people balking because I'm overcharging versus people balking because because I'm failing to communicate my value). Lex DeVille, Andy Black, sparechange and 1 other person like this. Good companies will definitely pay more for a good writer and you are an excellent writer. A good company and good business person recognizes the value of paying $100 for a good landing page that you could do in an hour vs. a mediocre one for $5. The financial outlay is so insignificant for the higher quality and ROI that those businesses you want to work for are out there by the thousands. Long story short, yes, you have to start somewhere but do not sell yourself short in this journey! Lex DeVille, Andy Black and Bekit like this.